There are no injuries reported and no leaks detected, according to KFD Capt. DJ Corcoran. 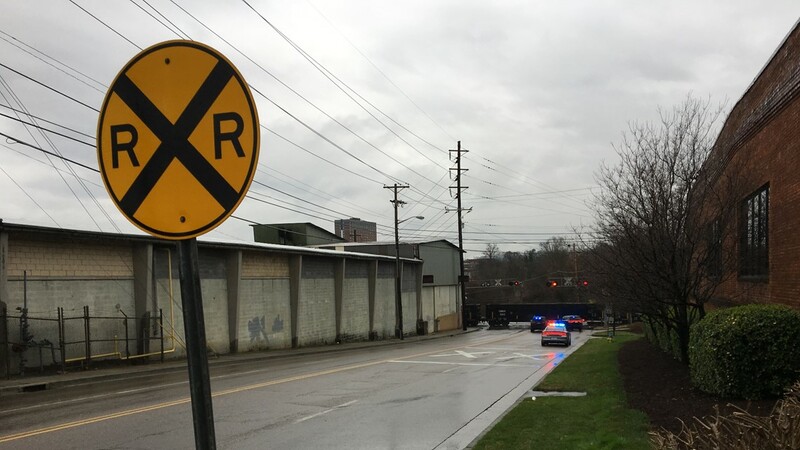 Knoxville police and fire crews responded to Concord Street after seven train cars derailed Wednesday afternoon. There were no injuries reported and no leaks detected, according to KFD Capt. DJ Corcoran. 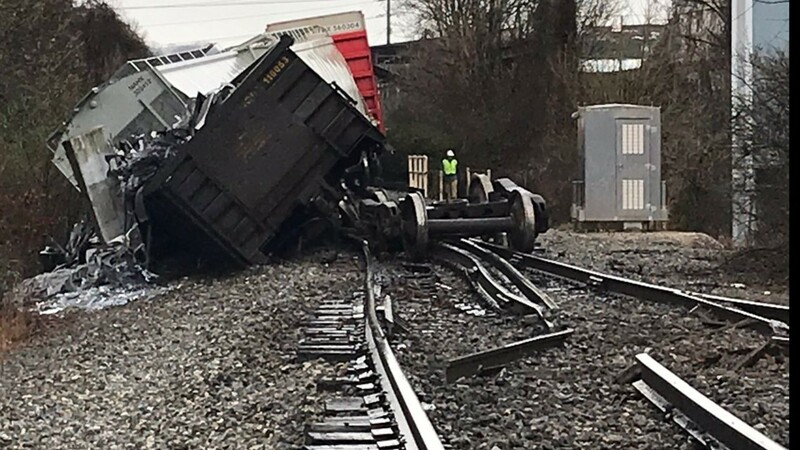 Two engine companies and a hazardous material unit were dispatched to the scene. 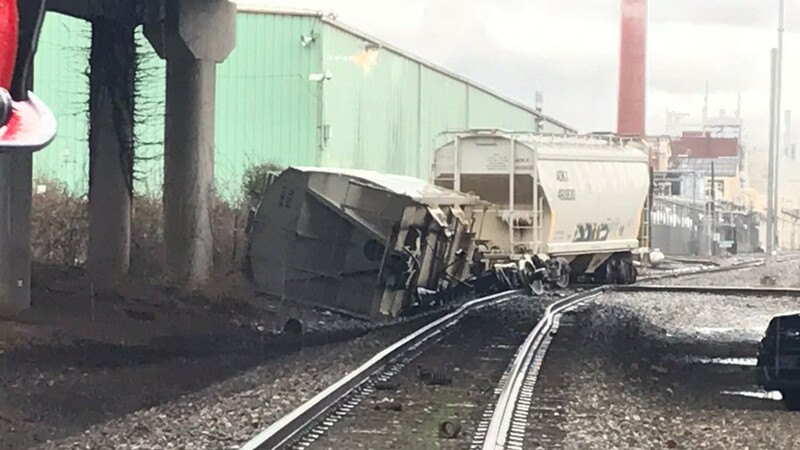 KFD's hazardous material unit detected no leaks from any of the seven cars which were carrying; one car of “Butyric Acid”, three cars of “Acetic Anhydride” and three empty cars, according to Corcoran. 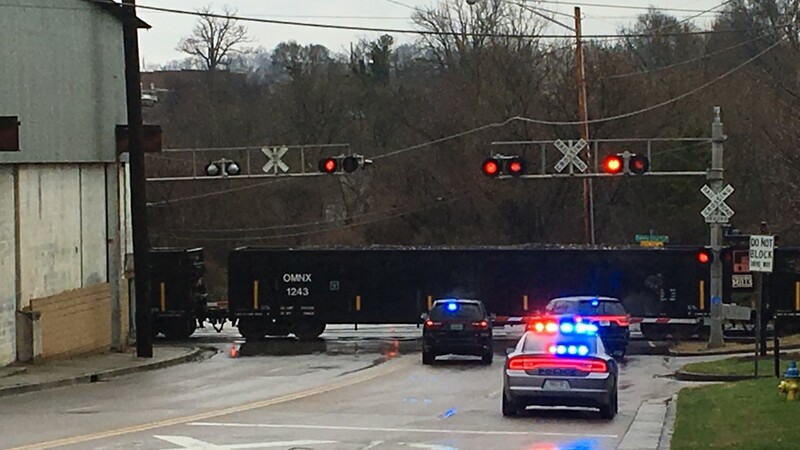 "With no leaks and no injuries, the incident and scene were returned to Norfolk Southern Railway at 3:08 p.m.," Corcoran said. While there were no leaks, the chemicals in the train cars could be hazardous to humans. Both liquids are hazardous to ingest, inhale, and can be highly corrosive to the skin. Sutherland Avenue reopened on Wednesday and Concord Street was back open on Thursday. 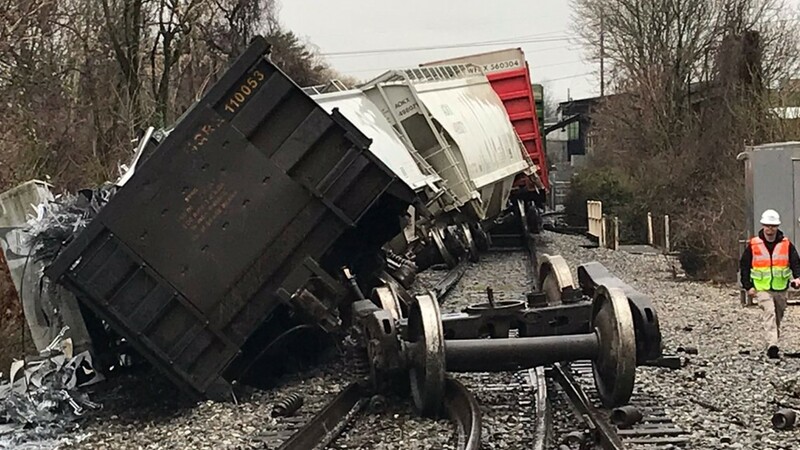 Seven train cars derailed on Concord Street near Sutherland Avenue Wednesday (2/20/19).